Hibou Home are known for sophisticated wallpaper designs featuring favoured traditional themes – and they have just released two new original patterns! The Teepee design is perfect for any little adventurer. 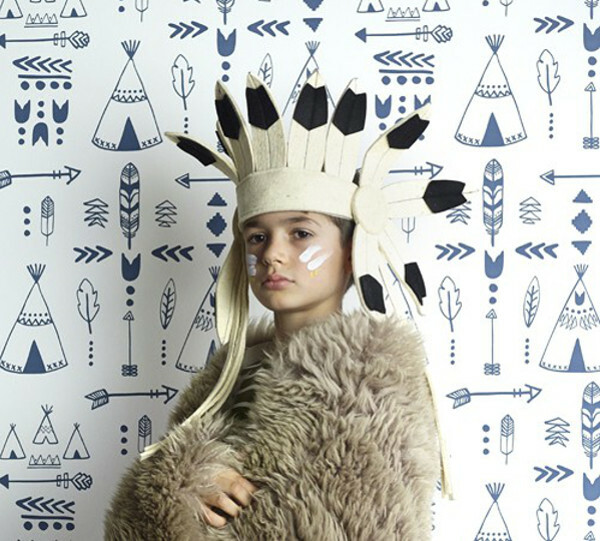 It sports Native American motifs, teepees, and arrows with a choice of colour designs to better match your taste. The darling Portraits design in my personal favourite. A collection of quaint animal characters printed in black and white with gold accents. 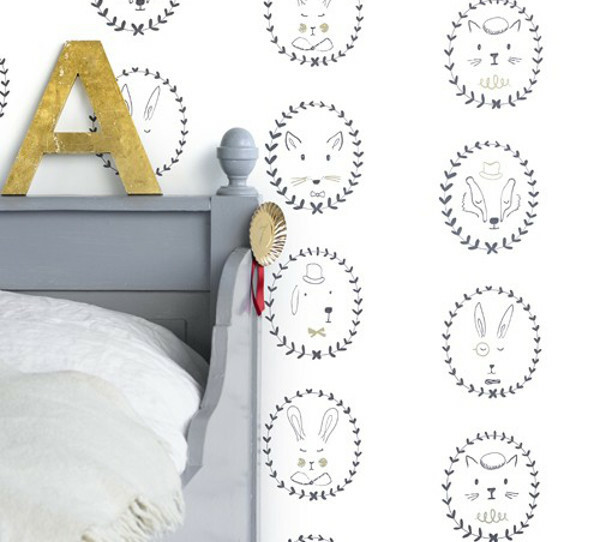 So simple and elegant that it won’t dominate the nursery, yet fun and inspiring. Unleash your child’s imagination as they create personalities and stories for each one! 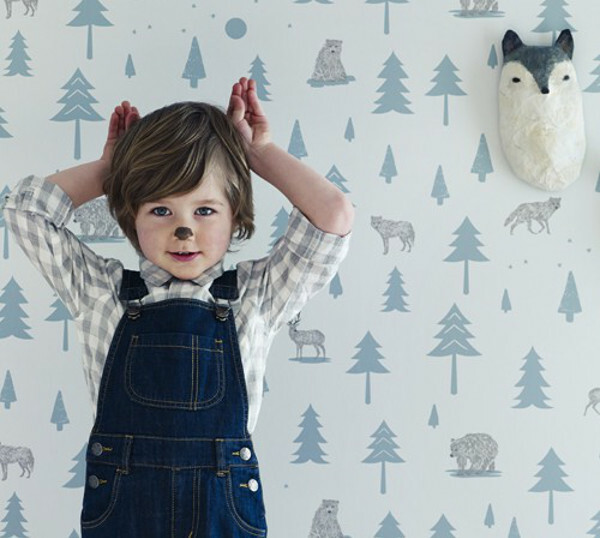 All Hibou Home wallpapers are printed with water-based inks on paper that is sustainably and ethically sourced. They are non-woven, meaning you paste the wall, not the paper, eliminating the need for a pasting table and cutting your decorating time in half. What I love about these designs is that they move away from the usual primary colour schemes of nursery decor towards a contemporary and sophisticated look. They don’t steal the limelight from other nursery features and make for gorgeous statement walls. 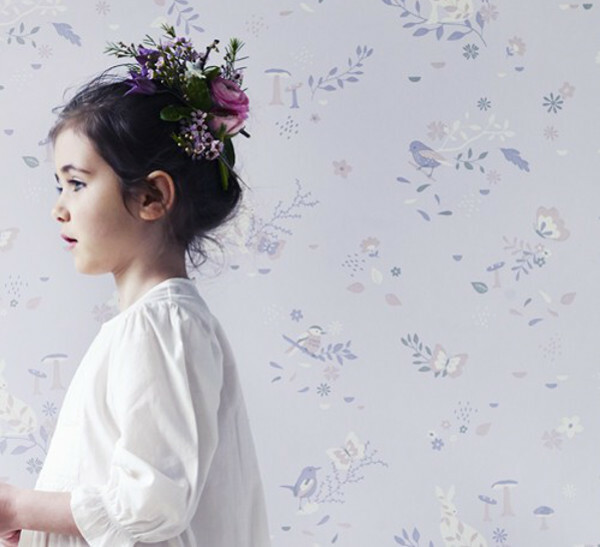 Hibou Home wallpapers are sold by the roll, which is 52cm wide and 10m long. They are made in England and priced at £70 per roll. Unfortunately they do not ship to Australia, but their website lists four Australian stockists.